Amertel sells, services and supports a full range of telecommunications products across all major brands. Panasonic's KX-TDA50/100/200 are powerful and versatile communication systems that will easily adapt to any business, providing solutions that will improve the way your business communicates. 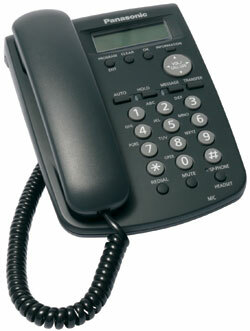 Up to 128 Handsets Can Be Registered to the TDA100 or 200 and up to 28 on the TDA50. This means you can choose the best option for your business knowing you have room to expand your telecommunications capabilities as your business grows. 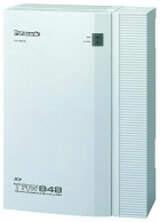 The KX-TDA systems are assured by rigorous quality control and extensive testing before they leave the factory, and comes with a 2-year warranty. The systems are also designed for quick, easy maintenance, keeping downtime to an absolute minimum so your company can operate with as little disruption as possible. 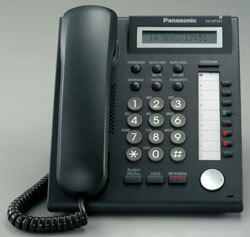 Panasonic's KX-NT321 IP phone is perfect for small to medium sized businesses. 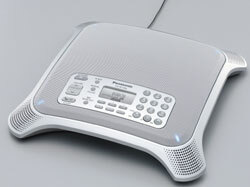 Telephone conferences are proven time and money savers for business owners everwhere. 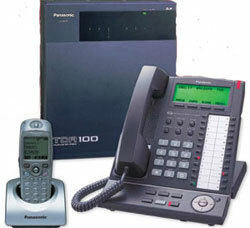 Panasonic's NT700 IP Conference Phone helps keep your costs down. This ingenious feature allows you to easily understand a fast talker by slowing down spoken words while shortening the silent intervals between them. Avoids wasted time caused by asking conference participants to repeat themselves. Here’s an easy way to record and review completed meetings. The KX-NT700 features an SD card slot so you can easily record your conferences to an SD card and play them back on a PC at your convenience A 2GB SD card will record up to 67 hours of conference time. The KX-TAW848 phone system is perfect for small businesses and upscale residential homeowners. 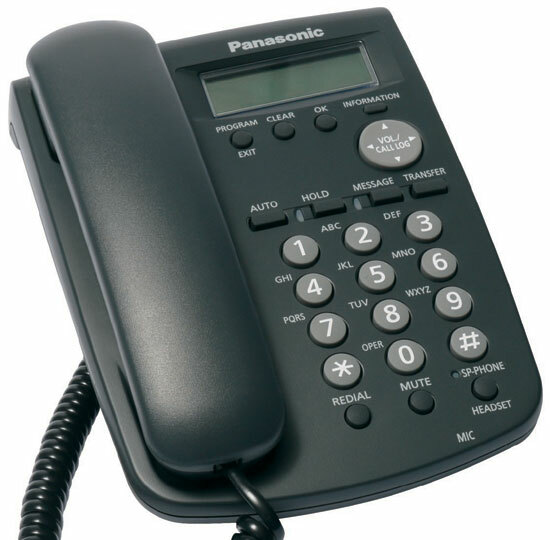 The system can be configured with a maximum of 8 traditional phone lines (CO lines) and up to 24 wired and 28 wireless telephones. 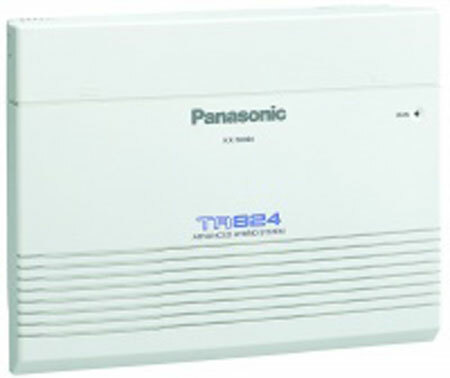 Wired extensions include the 7700, 7300 and 7000 series proprietary telephones from Panasonic, single line telephones (SLT) and up to 4 door intercom / openers. 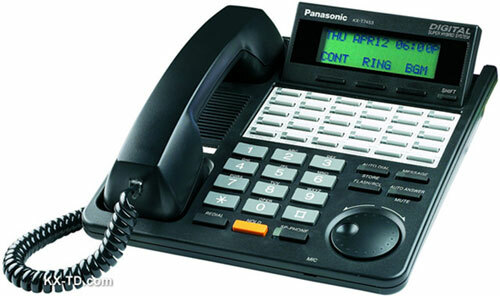 Panasonic's KX-HGT100-B VOIP Phone helps you increase your telecimmunication connection options while lowering the costs to your business. Businesses are moving beyond the traditional desktop working environment with many employees going mobile—working from home, from airports and/or branch offices around the world. In such a dynamic environment, it’s essential that businesses communicate effectively, anytime, anywhere. 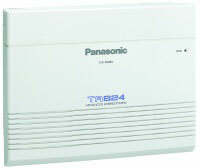 Panasonic's Network Communication Platform (NCP) helps keep your employees in touch - no matter where they are. Fully integrate your LAN using IP-enables applications. This is an excellent communications solution if your business has multiple sites. Panasonic's KX-T7453 business phone is perfect for small to medium sized businesses.